How are you? The weather has been magnificent and for the first time this year, I wore one of my favourite outfits. Hope you'll enjoy today's post, have fun and let me know what you think. I bought this romantic lacy tunic with harem sleeves in 2010 (Topshop Exeter) and it is very light and perfect for sunny, warm days. It is a beautiful piece which I'd like to wear more often. Can't really wear it that often in Germany as the tunic would be too eye catching. People, especially villagers, have the tendency to stare which makes it so awkward and uncomfy. But will take it with me to London in May. 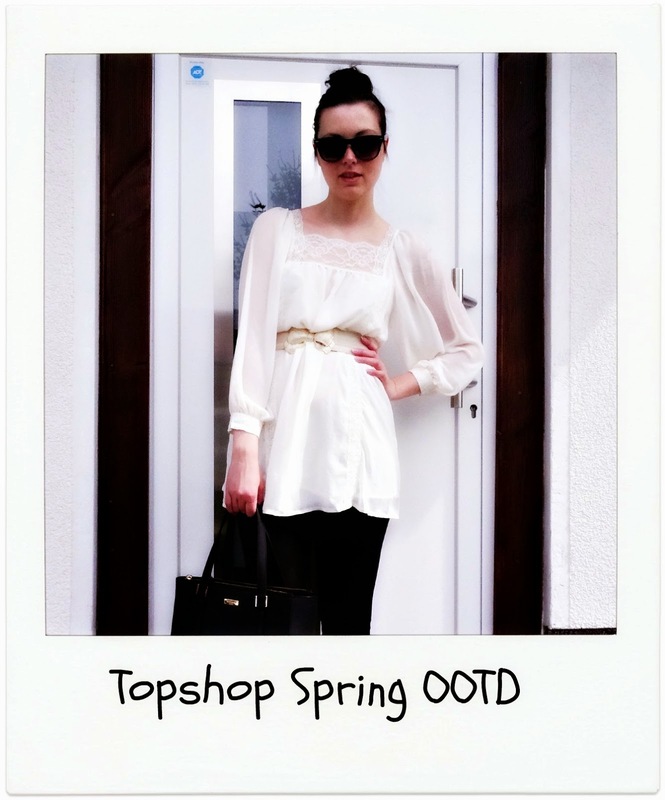 The bow belt is also from Topshop. Ah, my beloved Kate Spade handbag which I shopped last December from the Bicester Village designer outlet near Oxford. This one was a particular bargain reduced from £500 to £199. I needed a small city shopper and this one has such a pretty classy design. I've worn it many times since I got it as it goes so well with casual, day or night outfits. I'm so glad I made that investment. 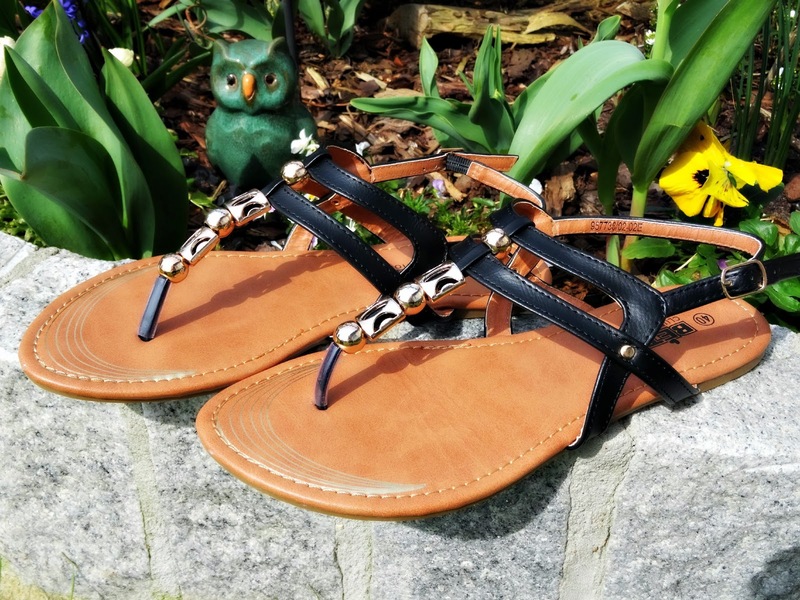 Following my latest shoe post on the hottest shoe trends for SS15, I came across Analpa and was kindly sent a pair of sandals from their new SS15 collection. Analpa looks after shoe brands such as Keddo and Betsy with affordable and stylish shoes in their range, including sandals, ballerinas, peep toes and wedges. I fell in love with these Betsy Delicate Sandals* and their gorgeous gold detail at the toe. The sandals are leather lined which makes walking in them super comfy. The strap around the ankle secures the shoe (I tend to slip out and lose flip flops), so long distances or the chance someone stands on your shoe and you slip out of it is very limited. Thank you so much for reading today’s post and I hope you’ll be joining me on my next adventure. What are your thoughts on the outfit? How would you style the tunic or the sandals? What do you love to wear when it gets warm and sunny? If you like my style posts, you may be also interested in my Take Me To the City look. *PR sample. Views, styling and opinion are my own. 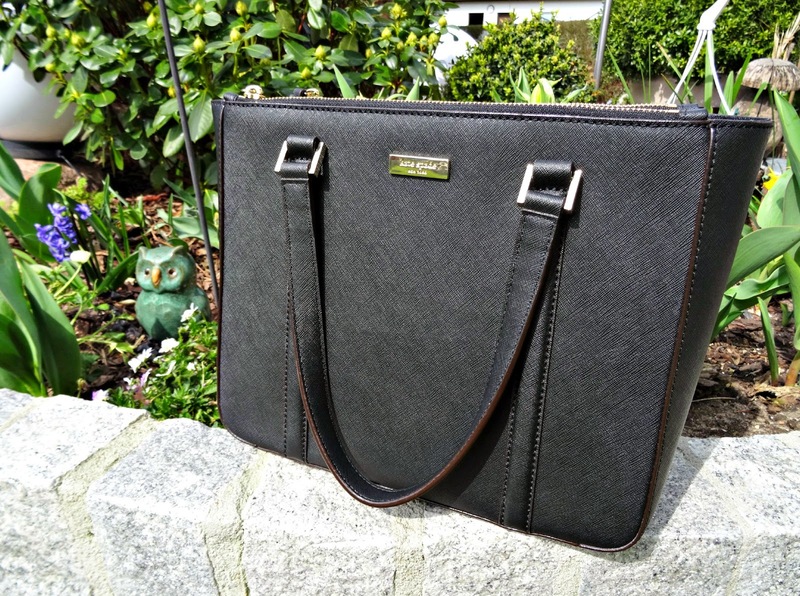 Lifestyle: What's In My Handbag? Lifestyle: Everyone Loves Stationery Right? Film: What's Hot Or Not At The Cinema In April.